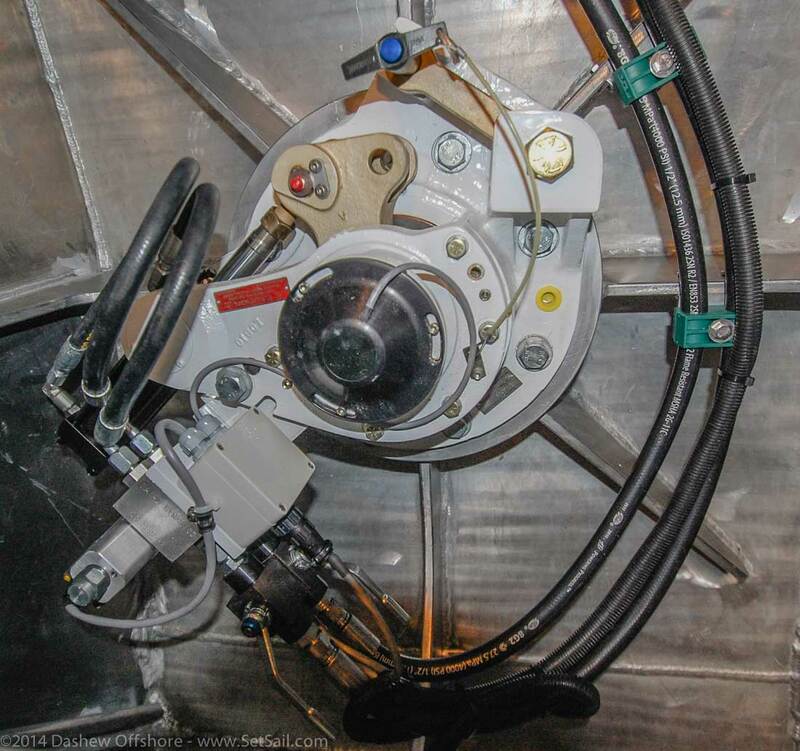 Following is where you’ll find Steve & Linda’s more technical articles, along with Cruisers’ Q & A…If you’re looking for info on the nuts and bolts of cruising, this is the section for you! 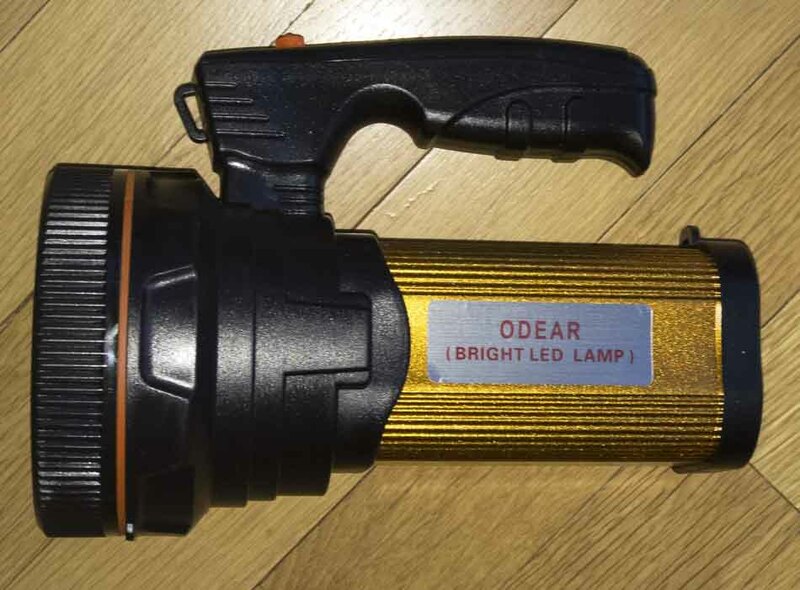 You are looking at the current champion in the ongoing best yachting flashlight contest. You are looking at a pair of 18.5” Samsung Galaxy tablets, which we think are real game changers on the electronic front. 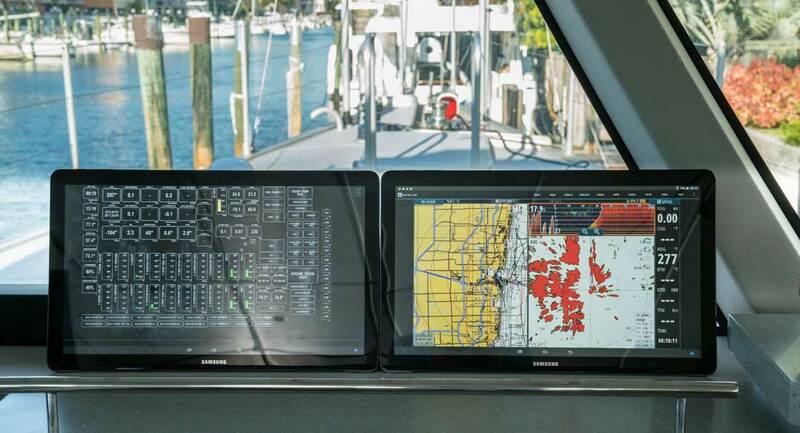 We’ve now had 11,000 nautical miles of concentrated experience with the Simrad Marine electronics suite aboard FPB 78-1 Cochise, and the time has come for an evaluation. 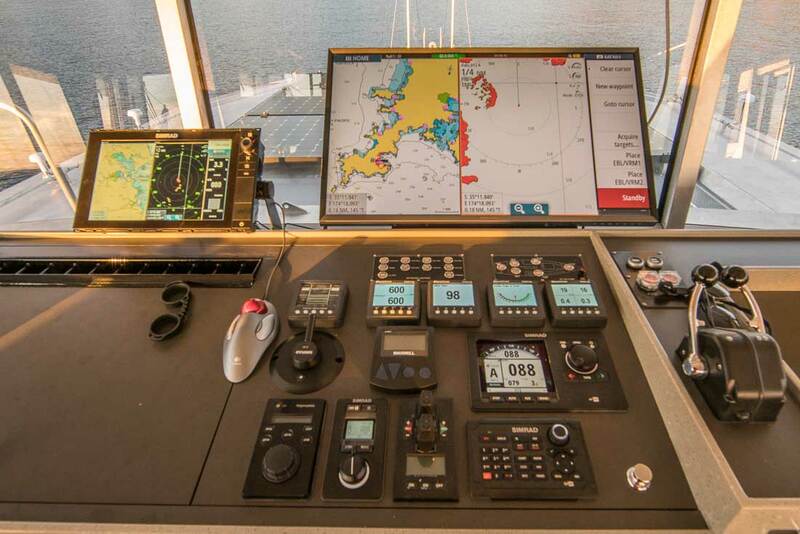 Simrad Marine Electronics: The Correct Choice – Or Did We Make A Mistake? 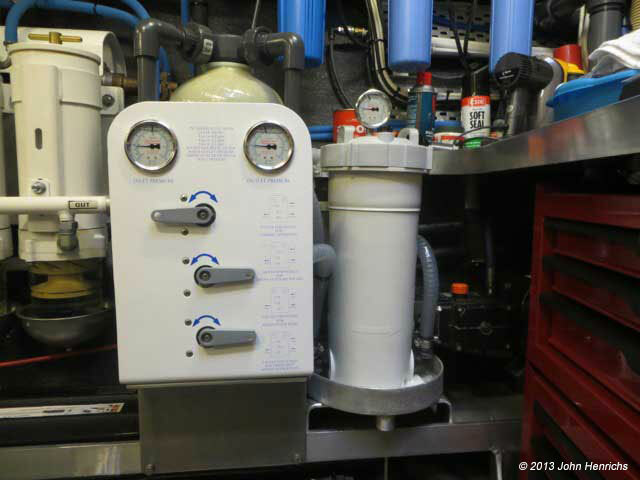 Cruising is said (by those in the know) to be going from one pump repair to another. We think we do a little better than this, but we are always looking to improve, and so recently conducted a series of tests with surprising results. Last week we worked with Peter Watson aboard the FPB 64 Grey Wolf to resolve a stabilizer system issue. We thought the communications regarding this might be of interest since these things do occasionally occur – typically somewhere far from home base. One of the blessings that comes with the FPB program is interaction with highly experienced owners (neophytes rarely have the background to understand the tradeoffs we make in the design process). 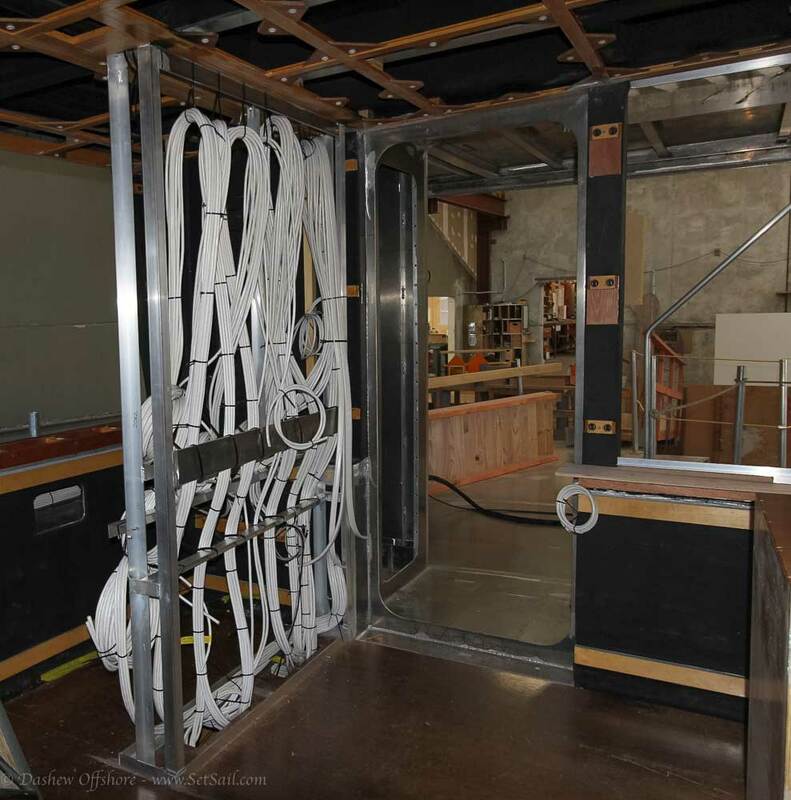 These owners often bring with them excellent firsthand knowledge, based on years of real world trial and error, that helps us improve the FPB breed. Efficient, Versatile, Easy-To-Use Communications: What Is the Answer For Cruisers? Wind Horse is at anchor in Pulpit Harbor, Maine. This is a lovely spot: a few other yachts on moorings, room to swing for us, calm enough for the rowing dink, and an osprey nest at the entrance. It is less than an hour from “civilization”, as in Rockport or Camden. We could sit here for a long time if the communications were sufficient for us keep us up with our responsibilities. But given the spotty 2G reception from both Verizon and AT&T, we’d be hard pressed to spend much time prior to this season. However, now we have this costly Pepwave router, and we’re glad we made the investment. 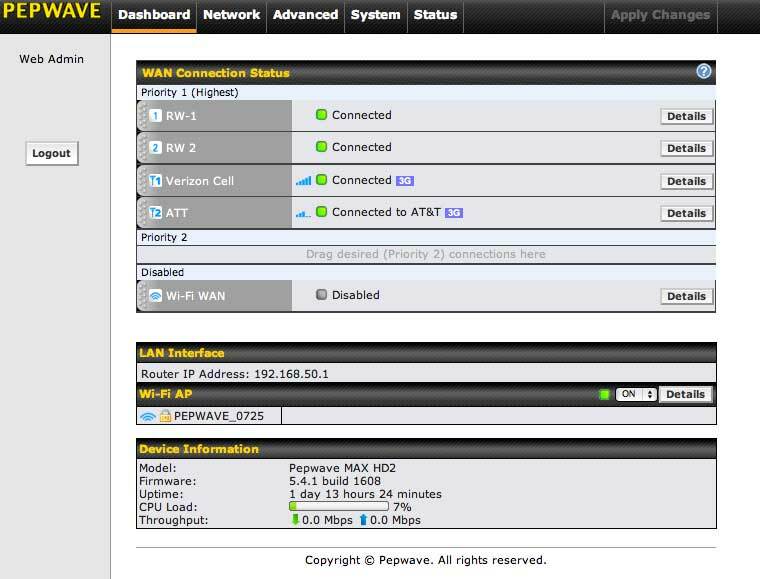 When FPB 64-5 owner John Henrichs mentioned he was getting a Pepwave Router that would combine and/or select from a variety of Internet sources we were intrigued. 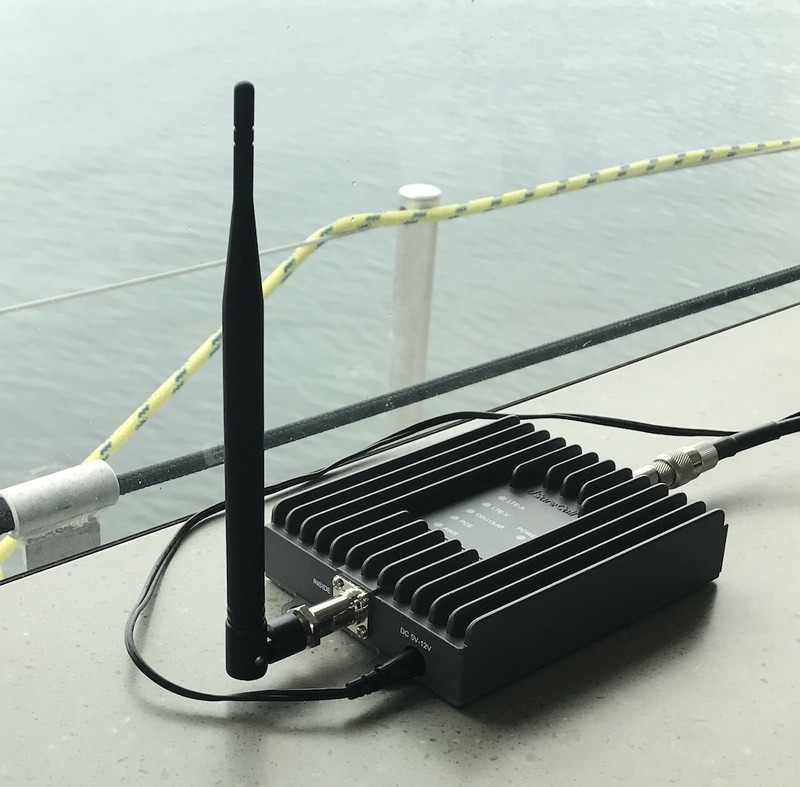 With the need to be reliably available for Skype and e-mail traffic for the FPB production cycle, and cruising the East Coast of the US where connectivity is not always guaranteed, it seemed like it might be the right tool for us. But the price, somewhat less than 1300 US$, was a put-off. Still, from a business perspective, if it worked, it would be worthwhile. We chatted with the techs at Pepwave and ended up with a Pepwave Max HD2 to test. Cory McMahon at Triton Marine Services did the install for us. I’m considering adding a small bow thruster to my Freedom 33 cat ketch. In addition to the weight of the unit and tunnel I’m wondering if the water in the tunnel reduces buoyancy by the weight of the water given the volume of the tunnel or if I have to double that as if I was carrying that much seawater in a tank on the boat? 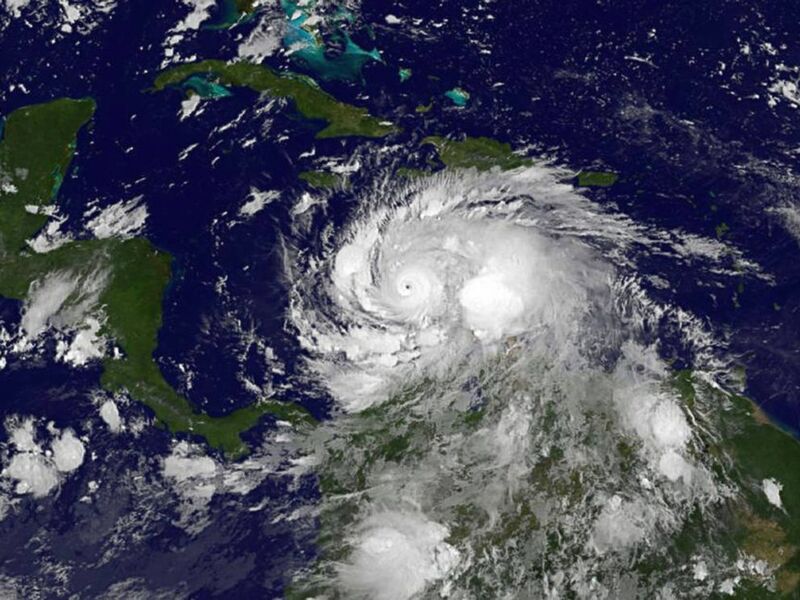 We have mentioned in the past that while hurricanes get the press, their area at sea is limited and they are relatively easy to avoid. If the tropical system morphs into an extra tropical configuration, it covers a huge area, and is nearly impossible to get away from. We have a perfect example of this right now. I’m a long term Setsail addict and I’d love to know what Beowolf has been up to since she was purchased from you. As well, it appears that a sister ship was never built. Is this correct, and why not if not? 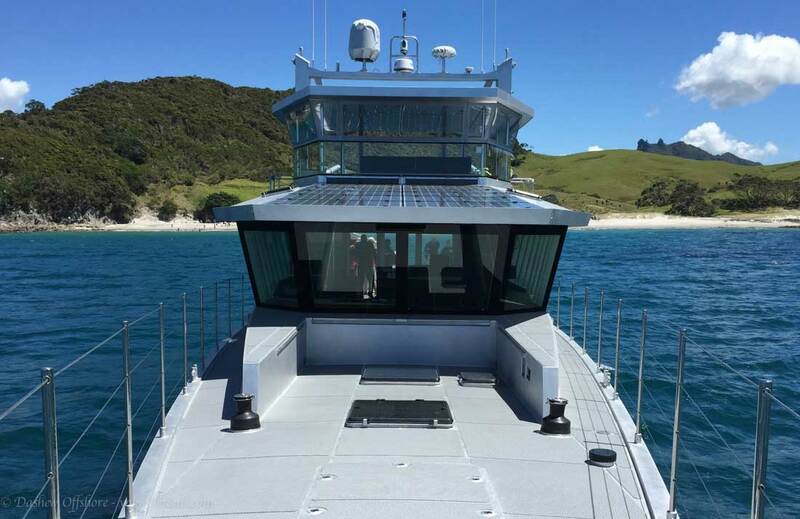 I was wondering what the possibilities of placing a Pilothouse like the one on the FBP 112 on the FBP 64? Placing it forward in line with the lower house windows and then having a “porch” on the aft section. …when staying longer at the same place, for example when you left Wind Horse in UK during winter 2009? As far as I’m informed, VAT(possibly plus customs fees & extra taxes) is charged if you stay > 3 months in the EC. How do other countries deal with this? If you want to talk about it: was VAT actually paid for your ships, or is it possible to circumnavigate the whole problem? 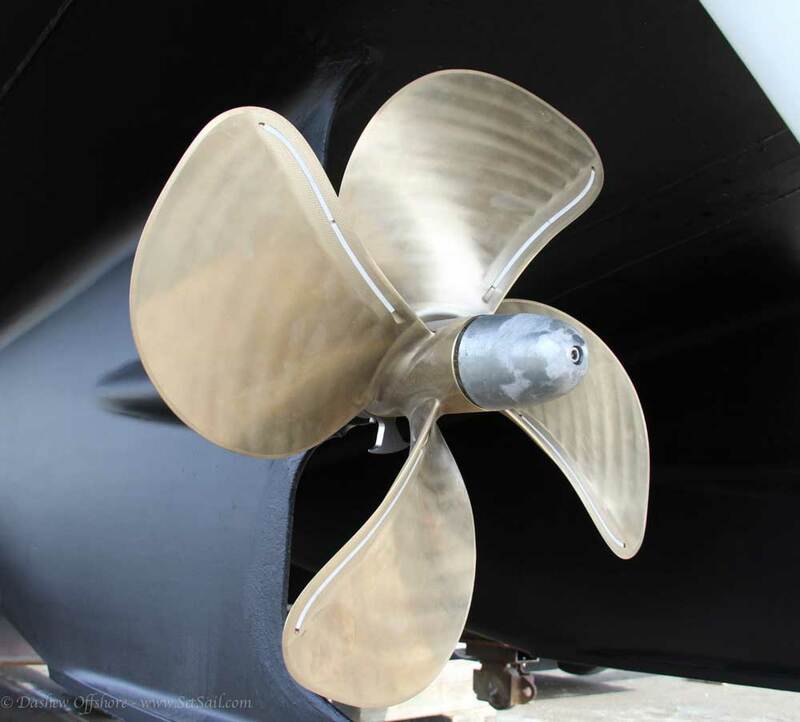 Hi Steve … I just read the Propellers section on the Offshore Cruising Encyclopedia, and got wondering: given the FPBs are such efficient machines, wouldn´t there be a case for controllable pitch props on them? We have a Yanmar 4 cylinder turbo charged engine of about 60 hp and would like to know the exhaust temperature range we should target when powering, as distinct from the Vetus cooling water alarm we have available to fit which will trigger at a relatively low temperature? 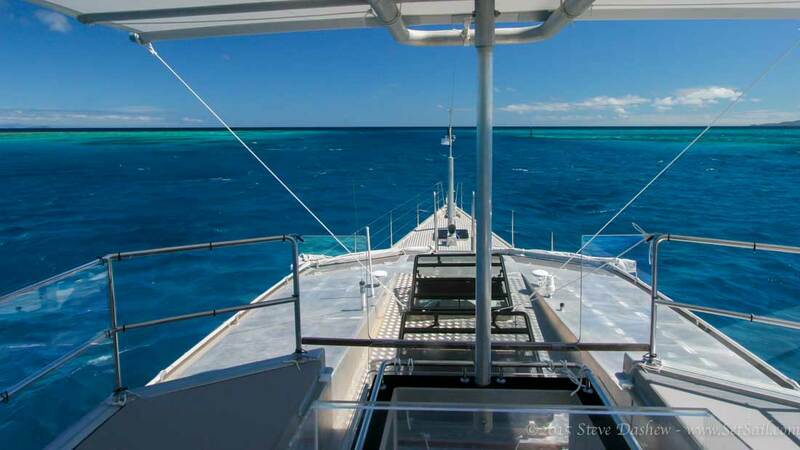 The boat is a Southerly 135(13.5 metres) of about 14 tonnes cruising displacement. Steve, what does an FPB64 measure out to for tonnage (USCG rules)? 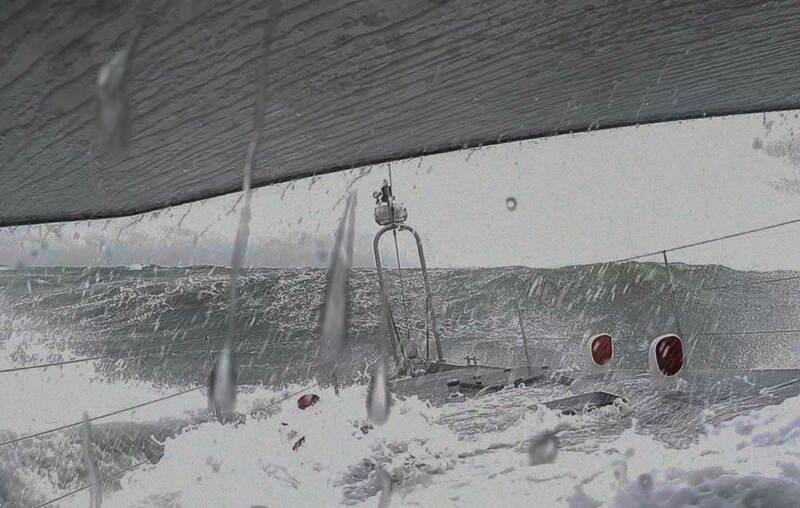 I need to install a watermaker on my Aerodyne 43 as a requirement for Transpac. I’d like a light and reliable unit, if there is one. Any recommendations? I’m willing to sacrifice output capability for light weight and reliability, if necessary. Steve, Linda — Happy 2011 !! There was a readers´ letter on this month’s Yachting World (btw, the same that brings your article – congrats!) 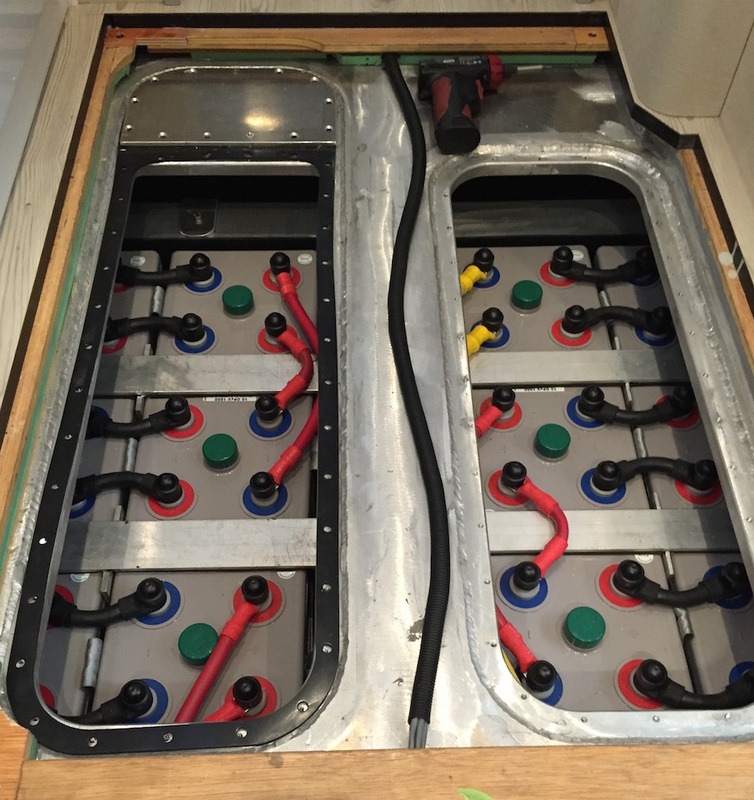 mentioning that lightning strikes often seriously damage electric/electronic equipment on yachts … given that on the FPBs some basic functions are supported by electric/electronic stuff (fuel pumps, autopilot, etc), I was wondering whether you had to build some contingency for that? Moreover, are aluminum boats more prone to lightning strikes than their fiber/composite/wooden counterparts? Has Windhorse ever been stricken? Are there ways to fix teak to an aluminium deck which do not involve penetrative fastenings? Can teak be glued to an aluminium deck with no other fastening required? What would be the minimum teak thickness you would recommend? I would appreciate your opinion. i have followed your vessels, and while I cannot afford them, they provide an educational experience. My own boat is a 35 foot water line length double ended cutter, an atkin vixen design, about 25,000 pounds displacement. We are reviewing our anchoring systems. Right now it looks like we will have a 45 pound delta anchor , all chain on one side, and a lighter anchor, mostly line, on the other. We were thinking of having both delta anchors, although we have all been told to have two types. I mostly cruise the US northeast up to Nova Scotia. Are two types, given modern anchor design, really better? that’s the basic question. I quite enjoy the designs of your boats as they tend towards a very common sense approach with great results. I am wondering what your position is on diesel electric propulsion for something in the FPB 64 range. My understanding of their operation should increase the diesels lifespan with reduced maintenance, no need for a genset and increased efficiency due to the electric motor being able to bear the brunt of surging better than the diesel. What are your thoughts? I have been looking for the articles you have done on your aluminium dinghy. Re the build and the reasoning. One I remember was when you decided to cut the bow off to allow pushing etc. If you could direct me to them it would be much appreciated. I have followed Wind Horse occasionally and am in tune with your design philosophy. I am delighted to see your new 64. What does FPB stand for? What is the cost of your FPB 64? Have you reduced the draft on the prop skeg after the first version? I live on the Gulf coat of Florida where shallow draft is important. Just thought I would drop you a note of thanks. 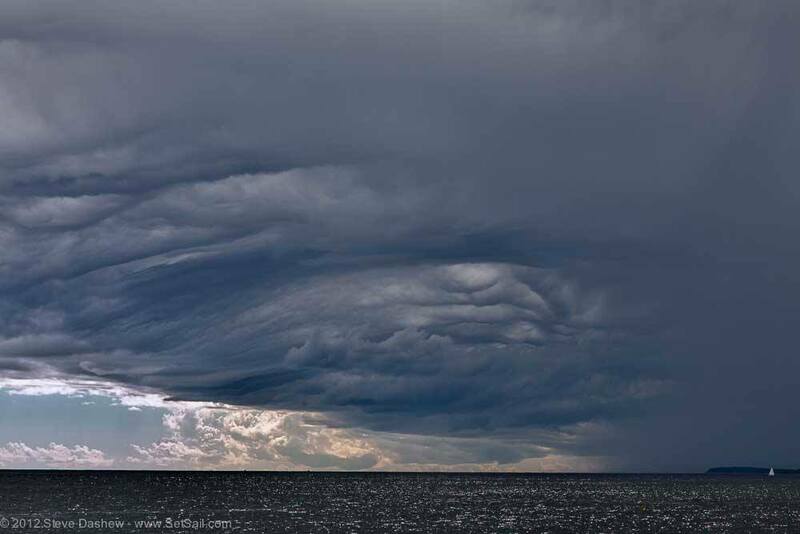 Followed your websites for years, read many of your publications, including Surviving the Storm. Of all the compelling advice you have, that’s the line that’s ringing in my ears as I hand off our growing business, sell our home and take our 7, 9 and 11 year olds aboard for an indefinite period. I am curious about your navigational software. I seem to recall in previous posts on your blog that you mentioned Coastal Explorer and I wondered if that was your primary software or a backup program you were using. If purchasing navigational software today for the type of cruising you have been doing what product would you select? I don’t recall that you have mentioned that lately. How did you get started with boat design? 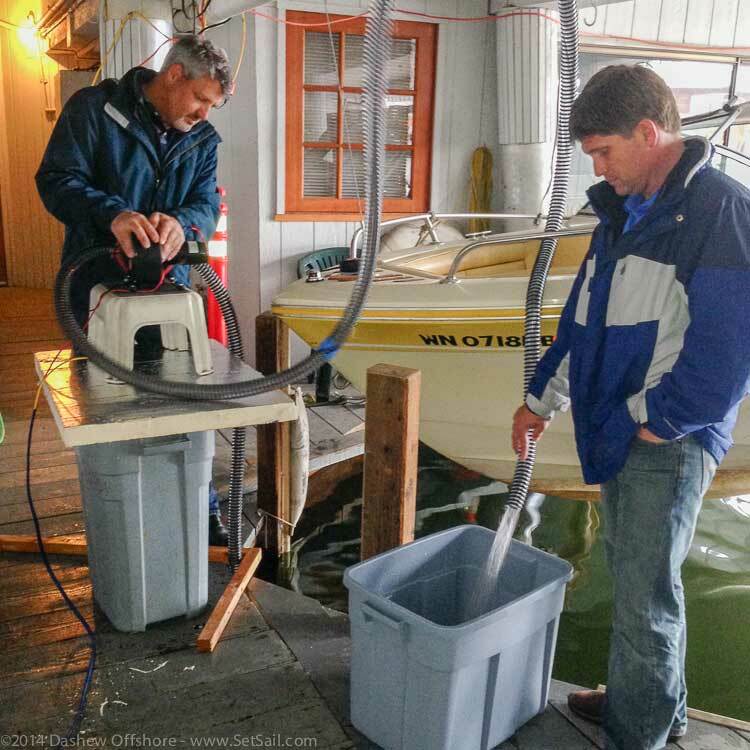 One question … when and how did you get started with boat design …and so on …? Maybe you should publish a short bio on your website … I am sure I am not the only one asking you. I just purchased a 1980 50 ft. Gulfstar Ketch. It has a Stoboom Main and I have no idea as to the best way to remove the sail for inspection, repair and refit. I could really use some advice or direction. 1. My boat buying budget has been reduced substantially by the crooks on Wall St. and the financial crisis they caused………….therefore my dream boat in the 100-150K range is now only a dream. I have my eye on the Tayana 37. I am 6’4″ and a single hander. I think this boat is a good choice considering my price range of 50-75K. I actually have an agreement on a very well found Ty37 for 63K. Any thoughts? 2. The often asked question is monthly budget. In your Offshore cruising book you discuss the issue but I’m sure things have changed since the book was last updated. Do you think a monthly budget of $3000US will be sufficient? Will I have to be careful? I would like to believe I can live quite well on that amount if I eat frequently on board and stay out of marinas most of the time? I should also mention I would expect to begin my cruise in the Caribbean. First, I want to say thanks for the great website and books you and Linda have done. They’ve been very helpful to me. 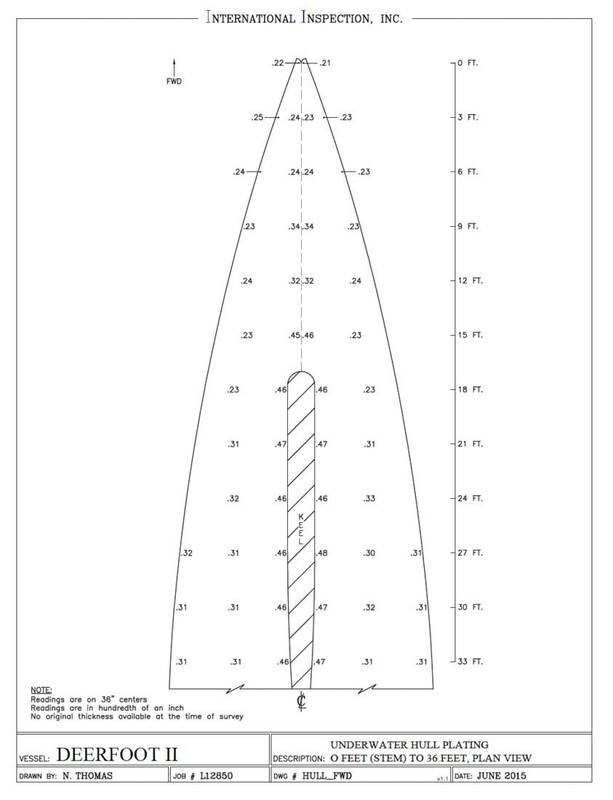 I’m designing the rig for my boat now, a 42′ steel cutter. She has a genuine loaded for cruising displacement of 34,000 lbs. I am doing a large roach main (80%)with swept spreaders and no standing backstay. Doing the rig stress calculations has made it clear that the large majority of the stress on the rig is from the shroud tension required to counter the jibstay and cutter stay tension. A reduction in tension on the forestays causes a great reduction in shroud and mast loads, but at the cost of increased forestay sag. I’d greatly appreciate your thoughts on an appropriate sag percentage to use for the 30 degrees of heel stress calculations. I am going to fit masthead runners to help tighten the jibstay and take some load off the rig, but am designing the rig to not require them. you went to a mono-hull for cruising, after using the multi-hulls for some time. I prefer multi-hulls myself. I am wondering why did you go for a mono-hull instead of a little bigger multi? We are a couple from Alaska heading out this summer for a two or more year long cruise. We’re thinking of upgrading the anchor system on our 38′ steel Waterline cutter to something stout enough for exposed anchorages in places as extreme as Antarctica or Greenland. 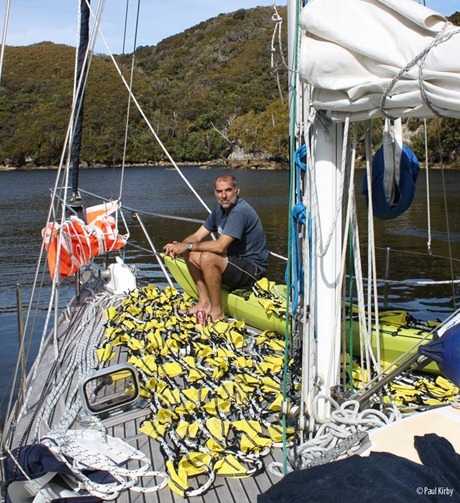 Currently we have 100 meters of 5/16 BBB with a 70# Bruce-type anchor and a 45″ CQR as backup. A fellow at Rocna anchors is advising us to go to G40 in 3/8″, and upgrading to a larger, 33kg or 40kg main anchor. My question, other than any comments/suggestions you might have regarding what you might advise us to go with, is do you think we can keep our 3/8 system (mostly our hydraulic anchor winch) by going to a G70 chain? I understand that Steve Dashew has gone to stronger, lighter 3/8 G70 so I wonder how you would think I could best apply this variable for our needs. Also, can you direct me to sources where chain higher in strength than G40 could be purchased? I would appreciate any thoughts/suggestions you might have as we move towards making our final decision. Your expertise is very appreciated. I am absolutely fascinated by your boats. Initially, the look was very unappealing…but as I started reading the beauty came out. While I have a while to go until I am ready to stop practicing and begin my life of cruising with my wife, (my youngest is 13) my current boat of choice is the Marlow. But reading about your boat may change all of that. I would love to get any info that you have with respect to these 2 boats. For years I have enjoyed reading about your ships and now the FPB 64. I have a couple of questions, if I may. 1. With respect to the engine room air intake (and exhaust), do you have a way of closing the vent(s) in case of an engine room fire? 2. On the Get Home Conundrum, have you considered using a retractable thruster with rotation or azimuthing bow pump-jet thruster. Something for example offered by OYS thrusters. In addition to helping with close-in maneuvering, a continuous duly system could have a Get Home capability assuming the gen-set continues to run. If equipped with a closing plate could increase hull efficiently compared with a open thruster tunnel. My Linda and I have admired your evolving burly long legged design philosophy for years. We sail out of Marion, MA on Buzzards Bay with trips up and down the New England Coast. This year our good friend John Herzog has just acquired “Cloud Nine”, a lovely vintage Allied Seabreeze 35′ yawl, which he will be keeping this year on our helix auger mooring in Marion. The Bay is very open to the SW, and notorious for Hurricane surge. NOAA says this will be a very lively summer as you know. I have suggested before launching John consider fitting a massive cable attachment point in the stem just above the waterline with added heavy blocking in the chain locker to accept a shackled 1/2″ steel cable or chain storm pennant. Length to the mooring top chain would be set to allow appropriate stretch of the two cafe protected 1″ nylon mooring pennants while applying most of the load to the eye at the waterline. John’s mizzen should help to somewhat reduce tacking on the mooring caused by the lovely sheer of the Seabreeze rail. I have seen people attaching a steel storm cable to a single eyebolt in the stem, and feel that this may be vulnerable to side loading expected in storm surge. Do you have any thoughts about such a rig? Have you ever seen a commercial fastener that would be a suitable stem shackle attachment point for a storm cable to secure a 13,400 lb designed displacement vessel, or do we need to have something custom made? Could you share the name and source of the non skid product you are using on FPB 64? Do you know the life span of this product? Can it be adhered to a steel deck painted with two part epoxy coating like Ameron? I am the recent purchaser of a 1962 P-Class Catamaran. “Mahitabel” is a 28 ft long/ by 12′ Beam Designed by Bud Platten / R&D builder for Hobie Catamarans. It is to my understanding that boat designers Platten, Eric Witte, Ron Holder were fighting for a 1-man design, I am inquiring to see if Mahitabel is just in fact the Hull #1 that resulted. She is a fiberglass/ kevlar reinforced hull with steering 3′ forward of AMA’S. Foiled foam Dagger boards forward, and 300 sq ft of sail! Mahitabel is currently under rebuild in an owner/ repair shop Finleys in Oceanside. It will help give me strength in each sanding stroke! I contacted the Sea Brake folk and they said …no don’t use polyprop, use braided polyester …correct me if I’m wrong but that’s what our jib sheets are and they are low stretch..
Have a question about experience with anchoring on rock bottom. We are planning to go cruising in Croatia and we have heard that there is mostly rock bottom there, and that this may pose some problems with traditional anchors. We find it a bit strange since Croatia has a fast growing charter fleet and we cannot believe that these boats are equipped with anything else than standard anchors. We have a Rocna 20kg, one fortress kedge anchor and one fortress hurricane anchor, but wonder if we should go for an anchor more suitable for rock. The boat is a Dehler 37 Cr, waterline length 9m, dry weight 5,6 tonnes, cruising weight probably up to 7 tonnes I am afraid. Do you think the Rocna will be OK, or do you think we should go for another spare anchor? And in that case what type? Space and weigh will be a problem.. The boat is flat bottomed, no sump. Have been looking at a fisherman type like the picture below, which I can find to an affordable price .. And then there is the Luke, storm anchor which is very expensive in comparison. BTW. Hope you liked our country! Saw that you visited Norway in your logs. Did you visit Oslo? I am interested in sailing to Baffin Island, from the UK, and around the Labrador sea area. Could you advise me as to where I can obtain charts and infomation for these areas so I can put together a route plan. I have enjoyed reading about your journeys and it has inspired me to see for myself. 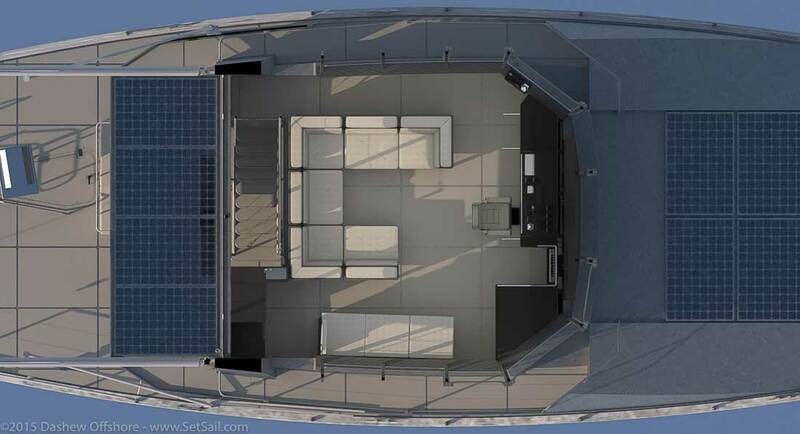 We are building a 65′ Catamaran and trying to get as much of our electricity needs from solar and hydro. We chose a Duogen turbine but so far haven’t found a way to install it in a cat. Then I read that you used a shaft generator in one of your vessels in your cruises around the world. Can you tell us the pros/cons of the system and if it could be installed in a Cat. How much power should we expect from the shaft generator? we are running a 24V system in our boat. Mahalo for your help and safe sailing. honesty, I have not been keeping up with you the last 2 1/2 or so years. you have already written if you like. Hi, I watched you on TV last night. Wow talk about having a light bulb turn on in your mind. Anyway can you tell me what a good boat would be to start out with would be. I far from being loaded. My idea would be to live on my boat and make my way south. I’m at the very early stages of planning so knowing what boat I should be looking at is a starting point. Thanks in advance for any suggestions you can pass on. * Oxi Magic Mullti-purpose stain remover (Chlorine Bleach free) which has Sodium Percarbonate and Sodium Carbonate in it. Are the two products above okay to use with the above sails? I have not used any chlorox bleach. Are the two products above okay to use with the above lines? I had both Jibs coated with Sailcote Plus about 5 years ago to help with the mildew problem and it seems to be working but this year we had more than usual on one jib and I need to clean it better than mild soap would do. what are your thoughts on the french OVNI range of cutters produced by builder Alubat? they have several features – variable draught, all alloy construction, ability to be beached and a reasonable price – which i believe might make them a good starting point fo a long distance crusier. 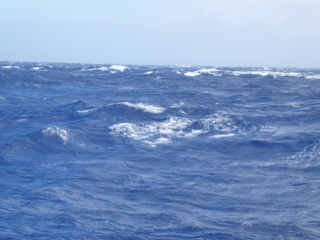 my main concern, and it stems from having never personally sailed on a large centre-boarder – is their ability to go well to windward when required and their ability to cope with really rough conditions. Are you still happy with your Whitehall from Gig Harbor? Am looking to place an order this week…..
you mentioned some time ago, that you encountered problems cruising in Alaska, as taking a pilot aboard was/is mandatory for non-US flagged yachts over 65ft loa. This will become relevant for us – how did you get around that issue, or settle the problem? Hello, I need a replacement switch for the Lewmar electric winch, air activated. Lewmar says they don’t make them anymore. Any ideas where to locate one?